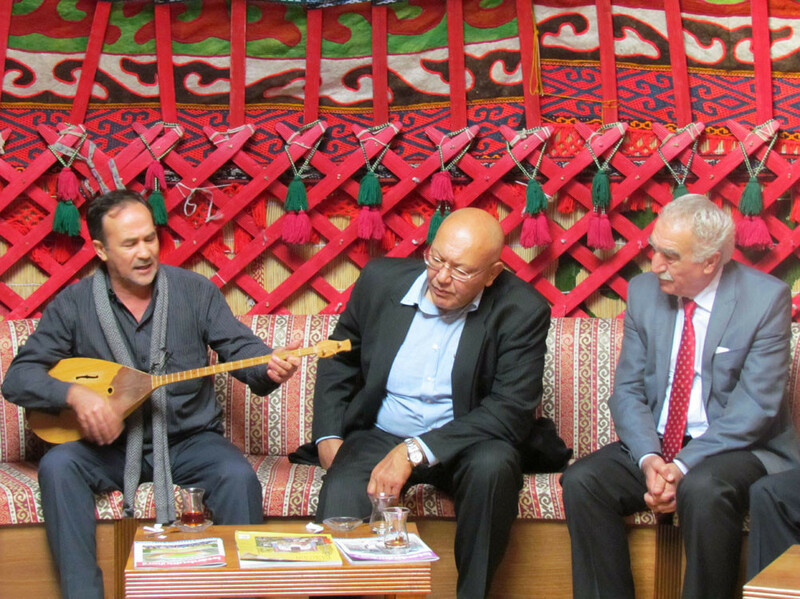 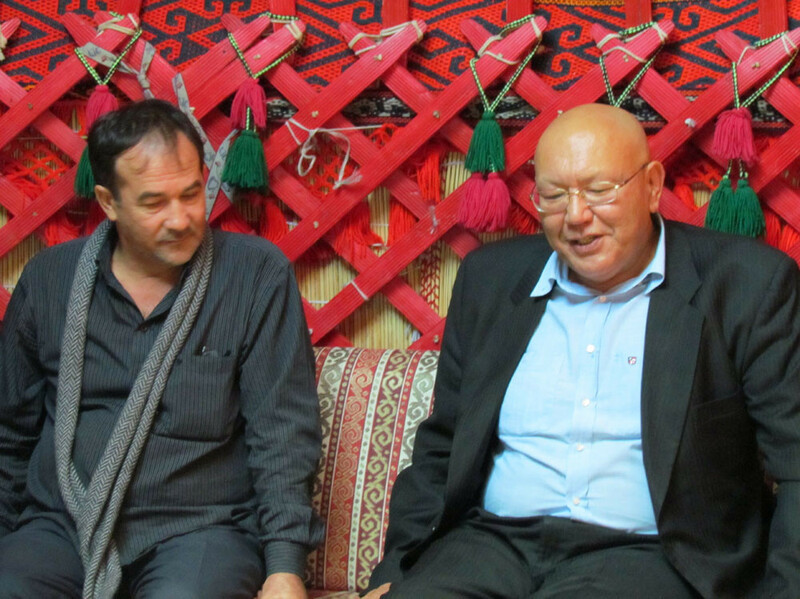 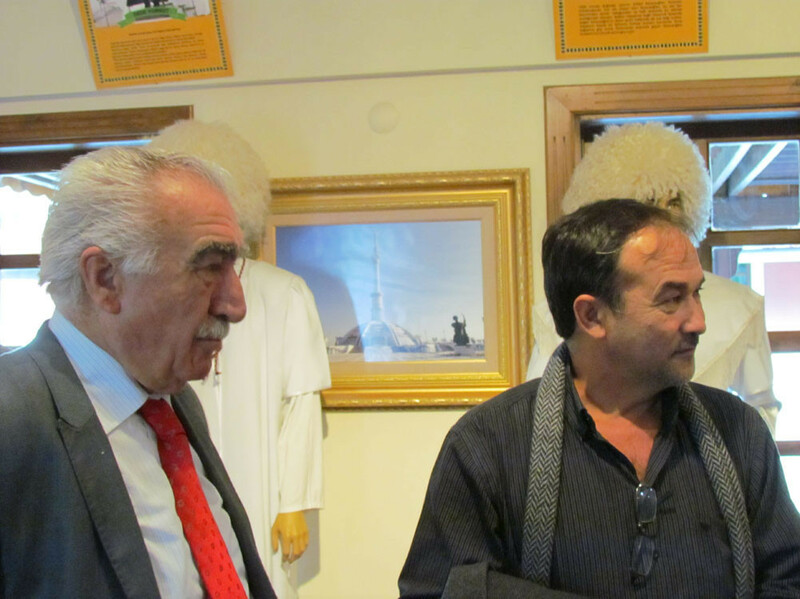 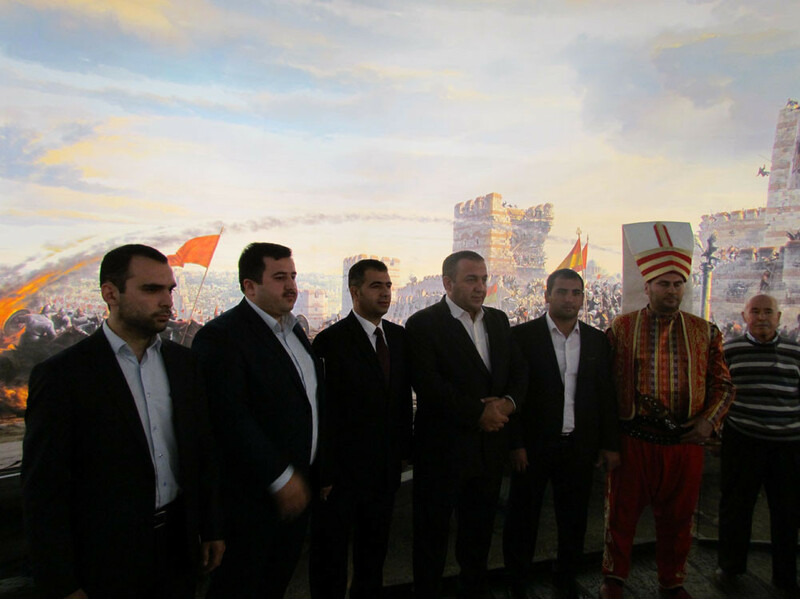 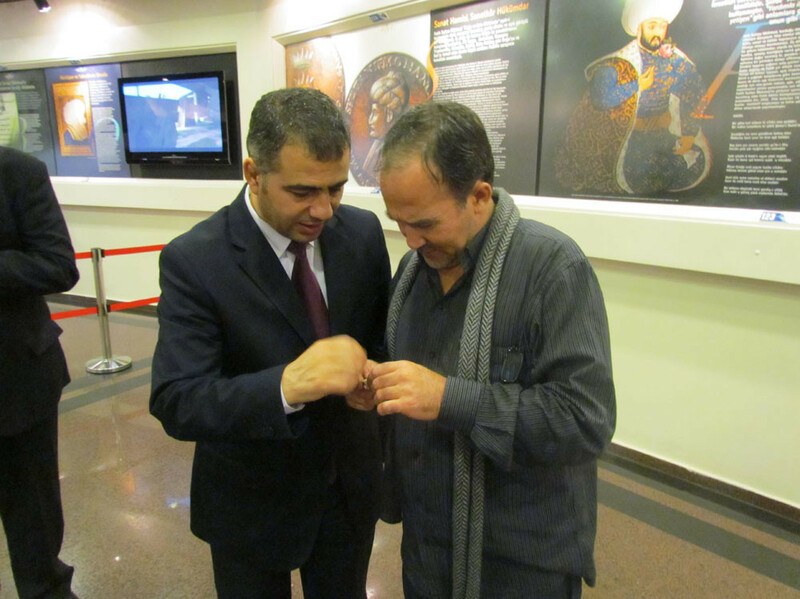 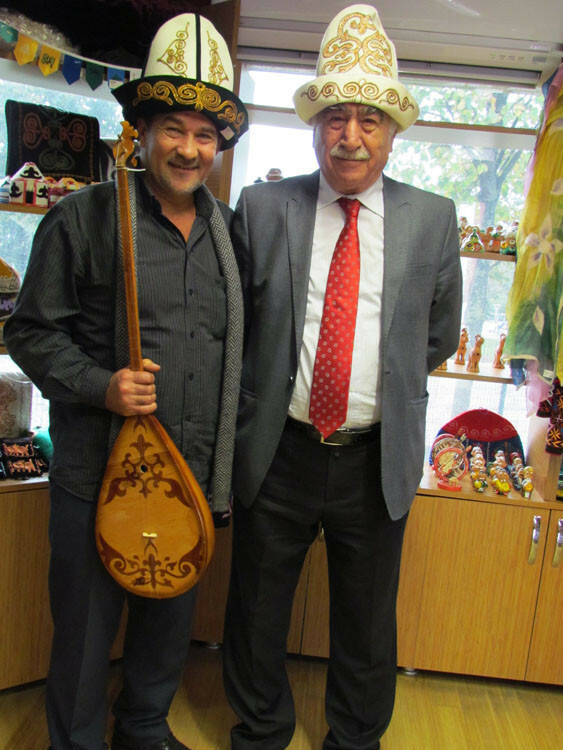 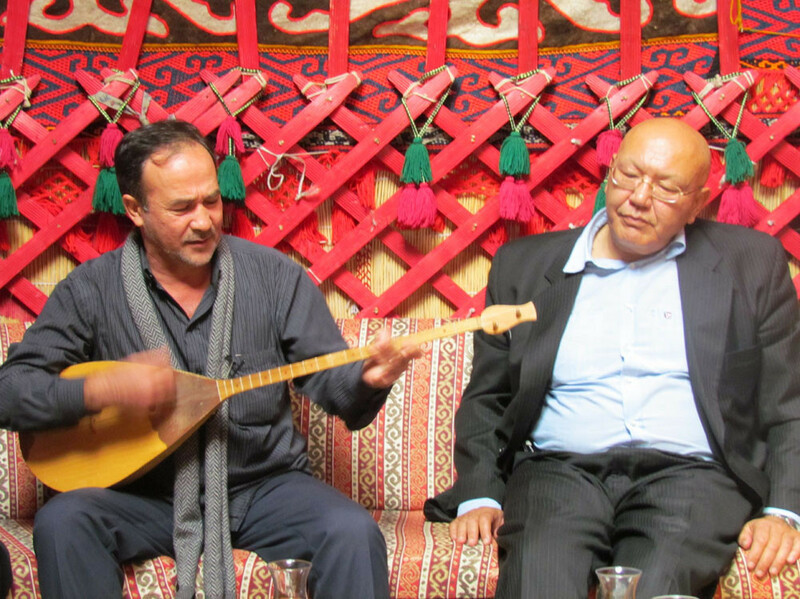 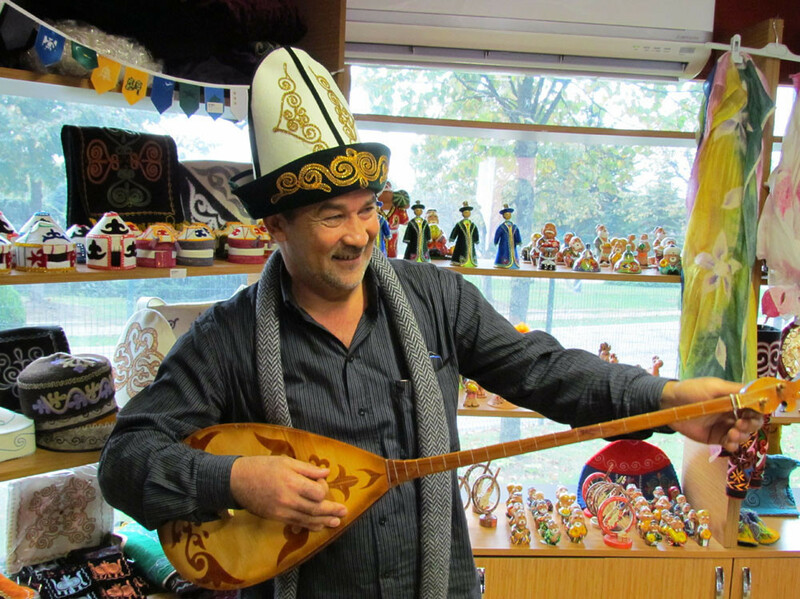 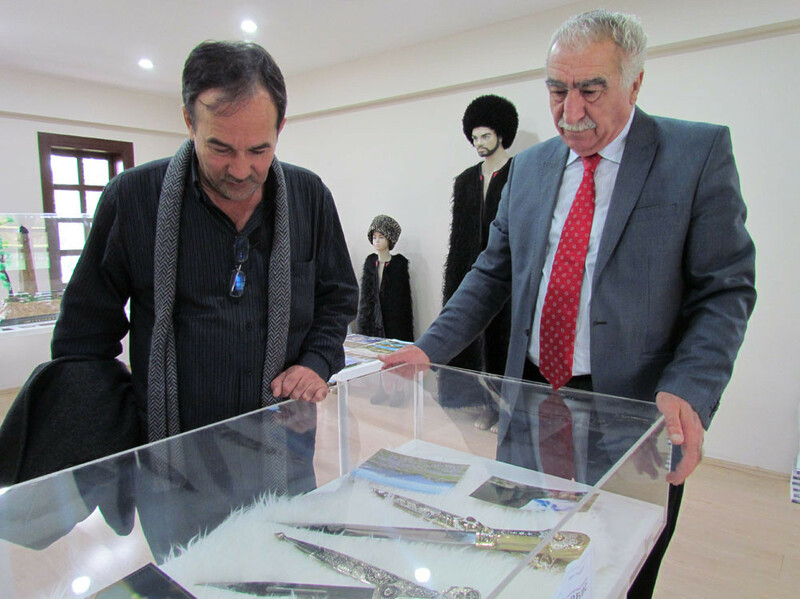 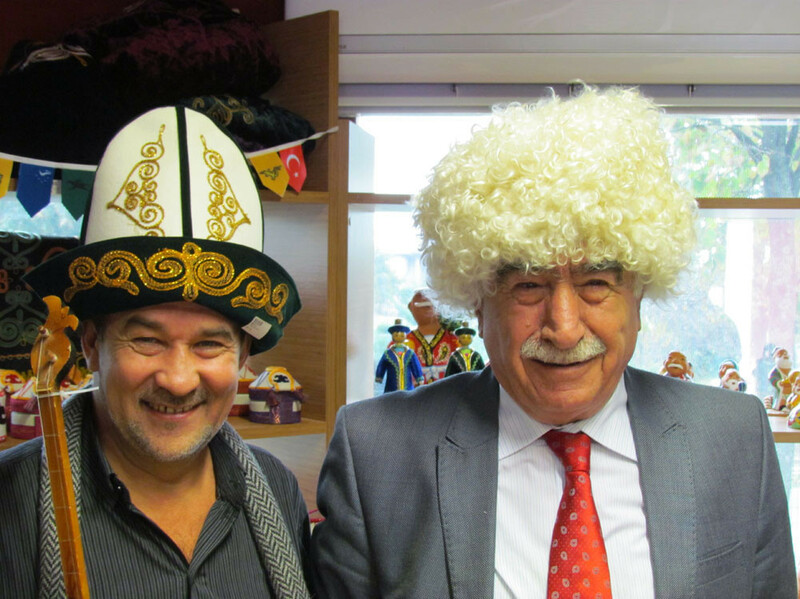 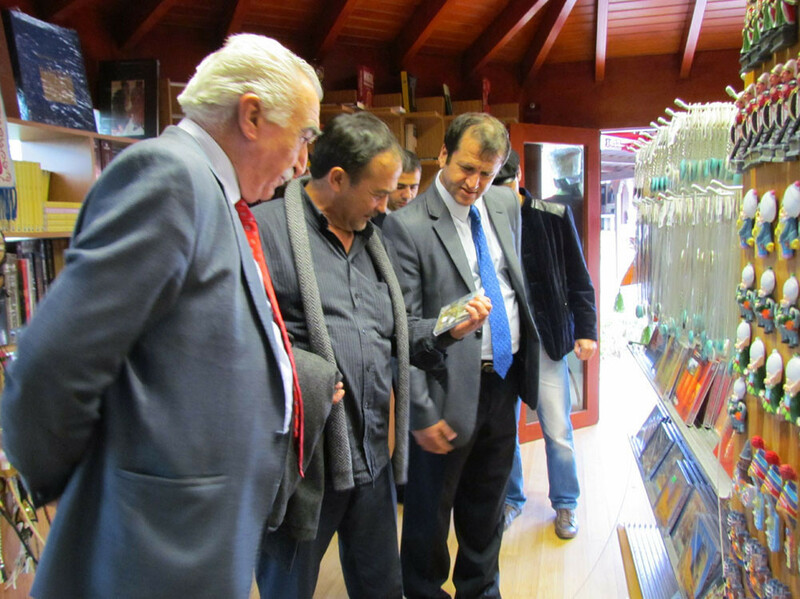 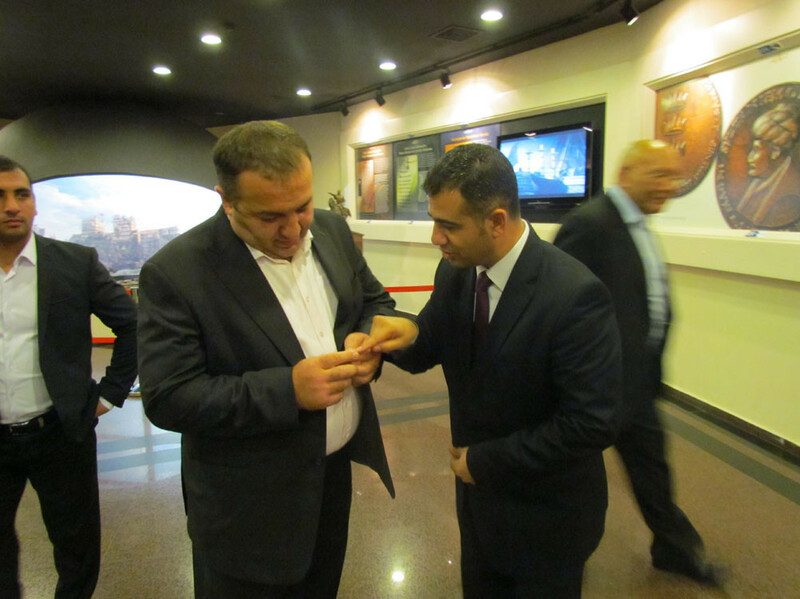 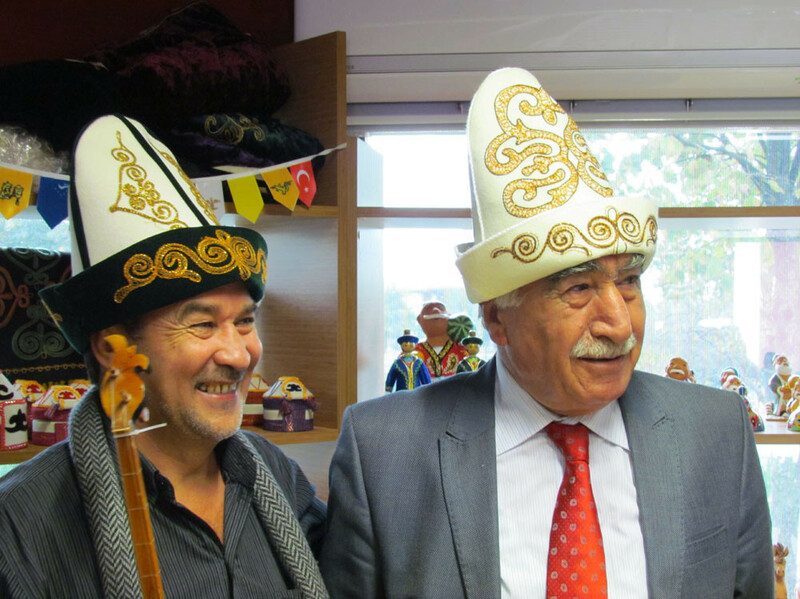 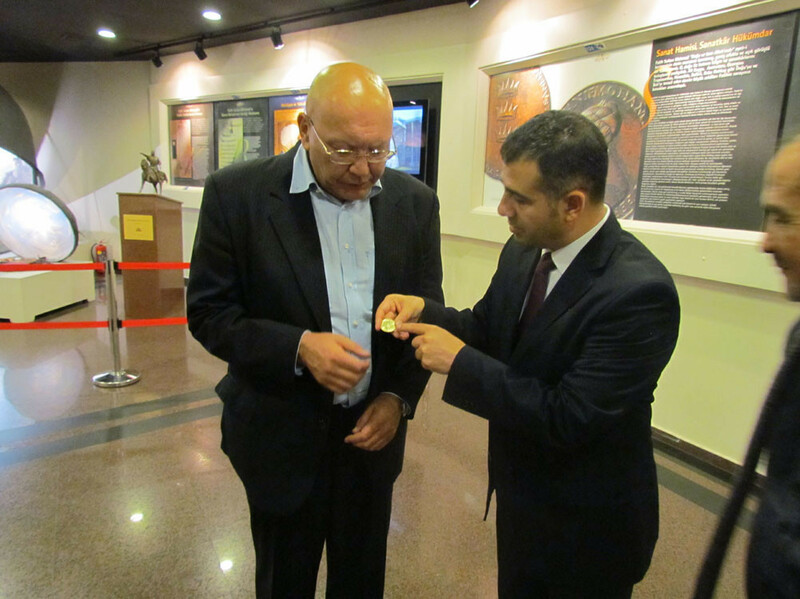 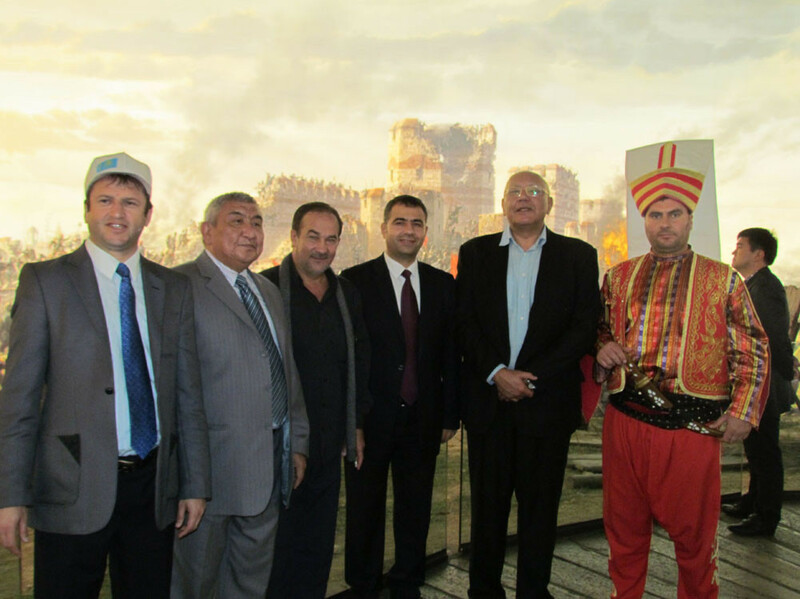 Askar Aytmatov, former minister of foreign affairs of Kyrgyzstan Republic, and son of Cengiz Aytmatov, Kirghiz author, and the famous folk poet, who had his name heard in the Turkish World, with his famous song “Dombra”, visited the Turkish World Cultural Site. 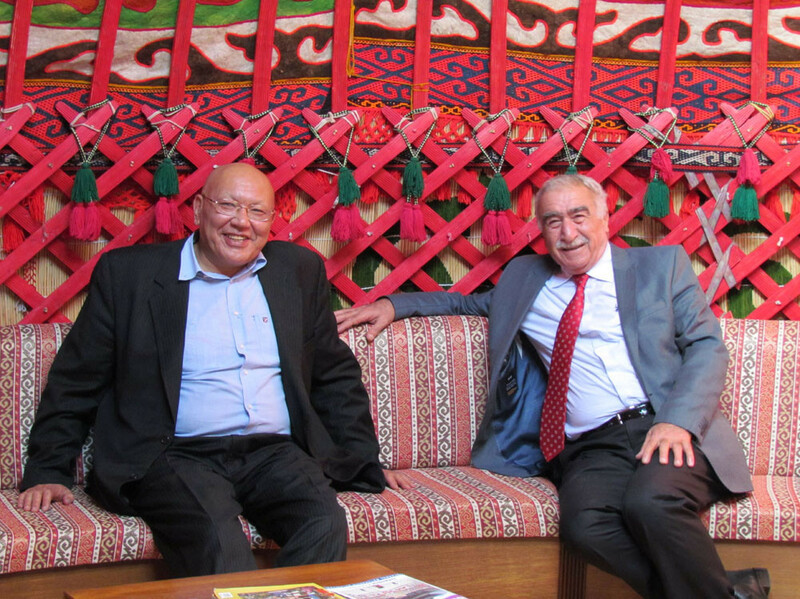 Askar Aytmatov, former minister of foreign affairs of Kyrghzistan Republic, and son of Cengiz Aytmatov, Kirghiz author, came together with Mr. Nevzat Kütük, the Director General of Culture Co., in the Kazak tent, and was informed about the “Cultural Homes”, representing the Turkish states, which are like “museum homes”, where folkloric elements are exhibited. 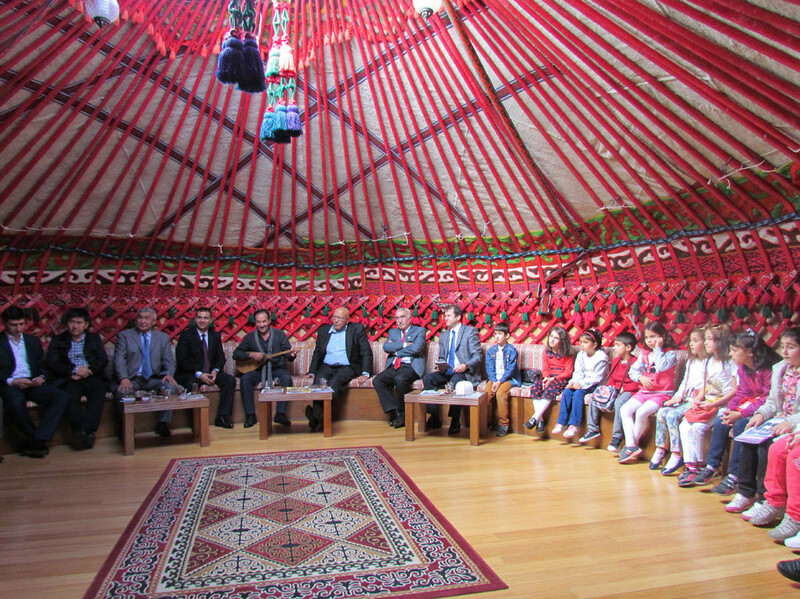 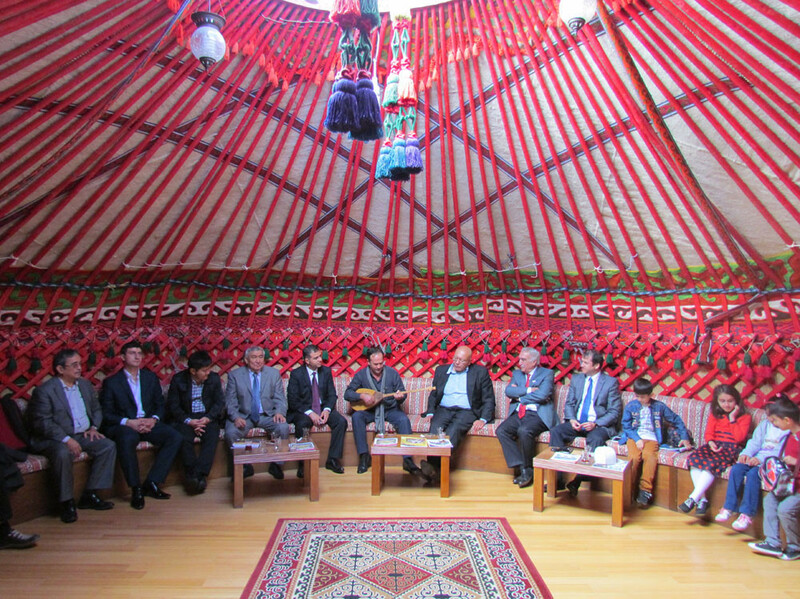 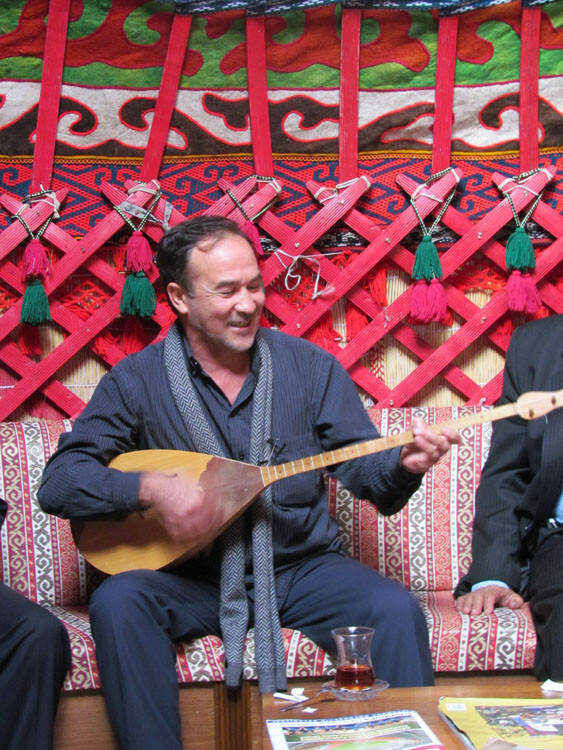 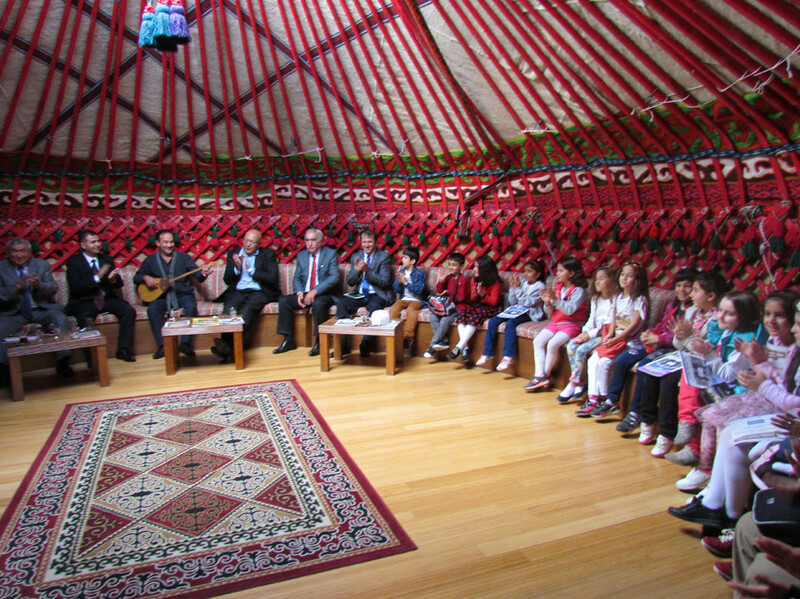 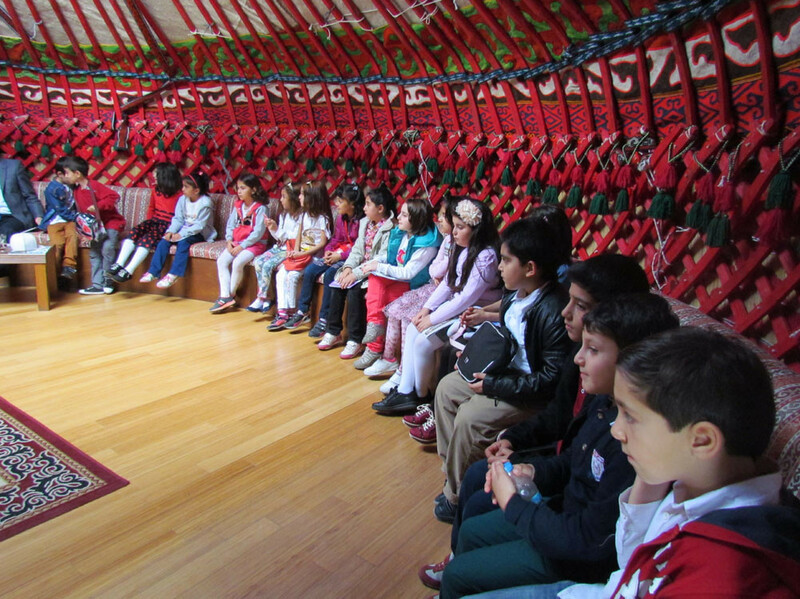 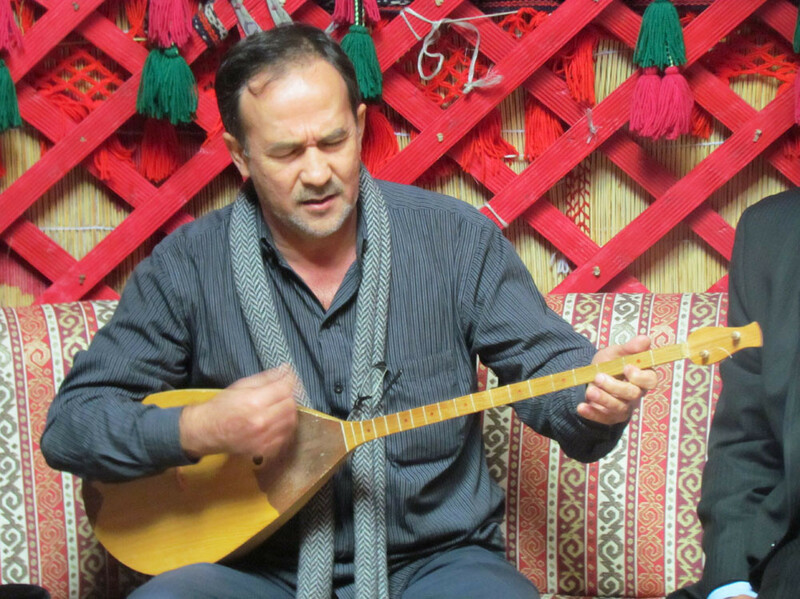 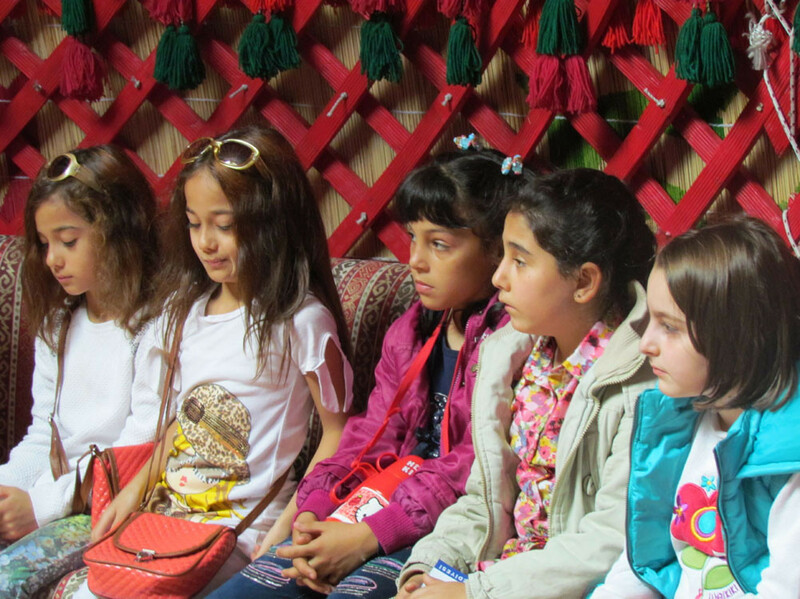 Aytmatov, who listened to Arslanbek Sultanbekov’s song of “Dombra” in the Kazak tent, made out of felt, talked with the students who came to visit the “Cultural Homes”. 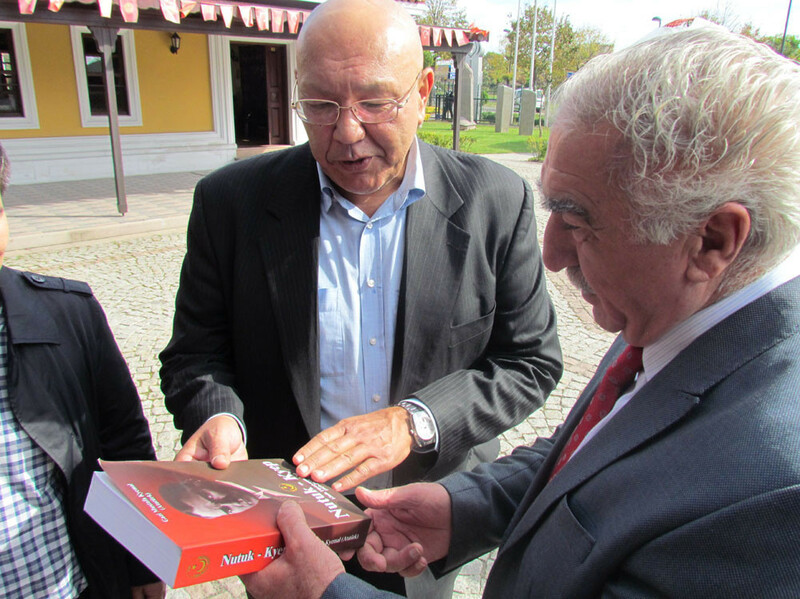 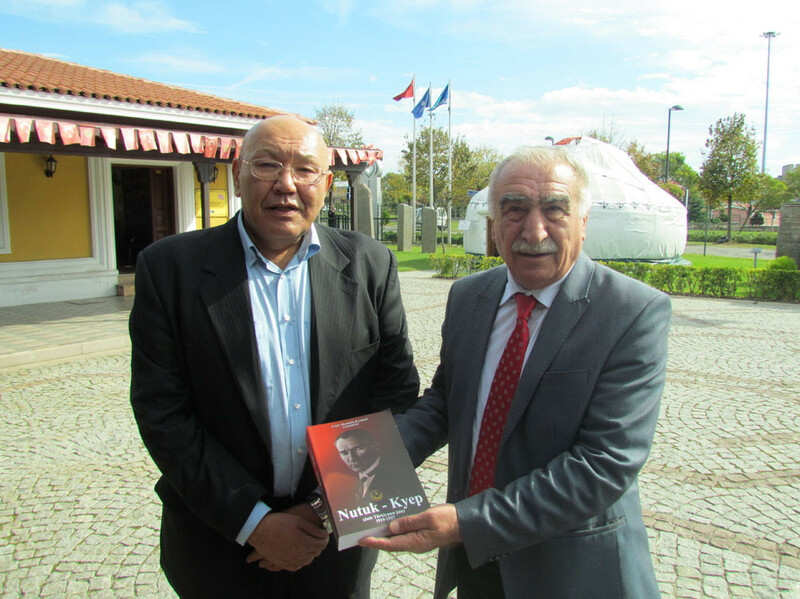 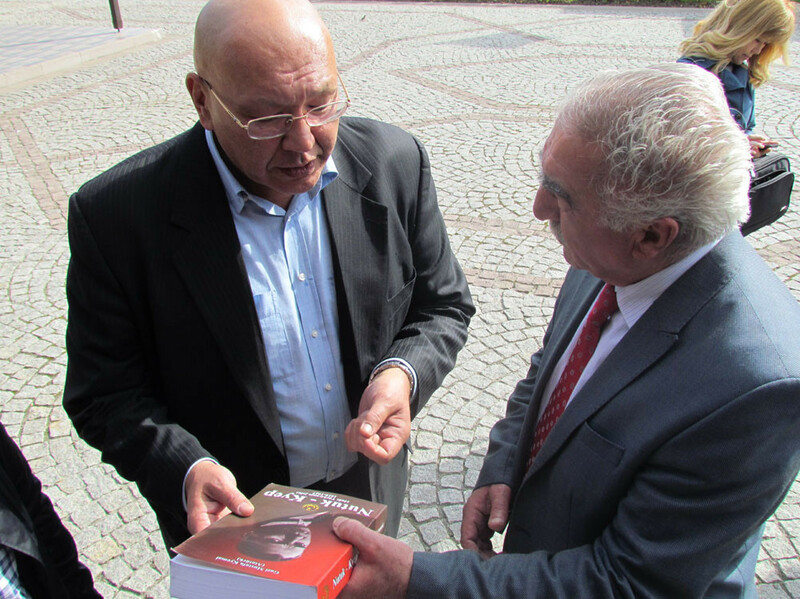 Aytmatov then presented the gift of book “Nutuk (speech)” by Atatürk, prepared in Kirgiz and Turkish, to Mr. Nevzat Kütük. 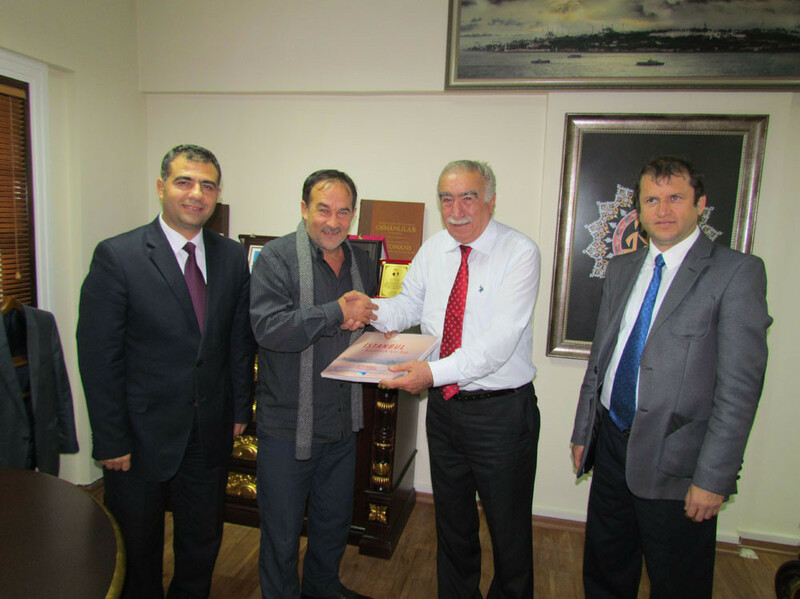 Famous folk poet Mr. Arslanbek Sultanbekov, also received briefing about the Turkish World Cultural Homes in his visit to Mr. Nevzat Kütük, the Director General of Culture Co. Mr. Kütük also presented the book “Istanbul / Look to Discover”, a prestigious publication, and the music album named “Girift” by Süleyman Erguner as a gift. 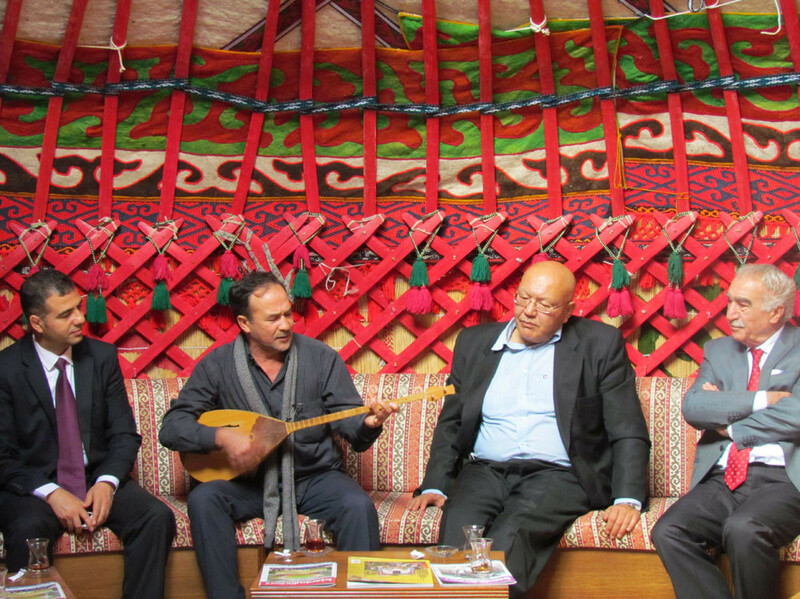 The artist then gave a resital of Dombra to the students in the Kazak tent. 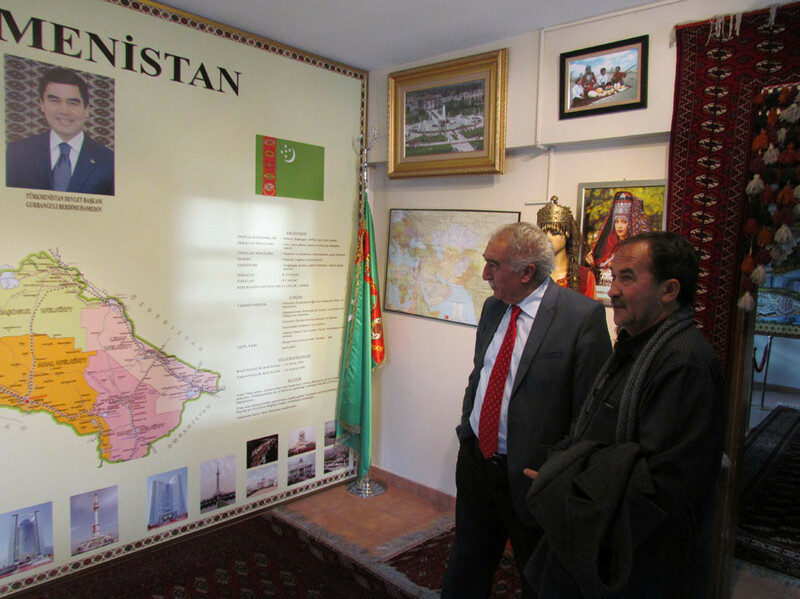 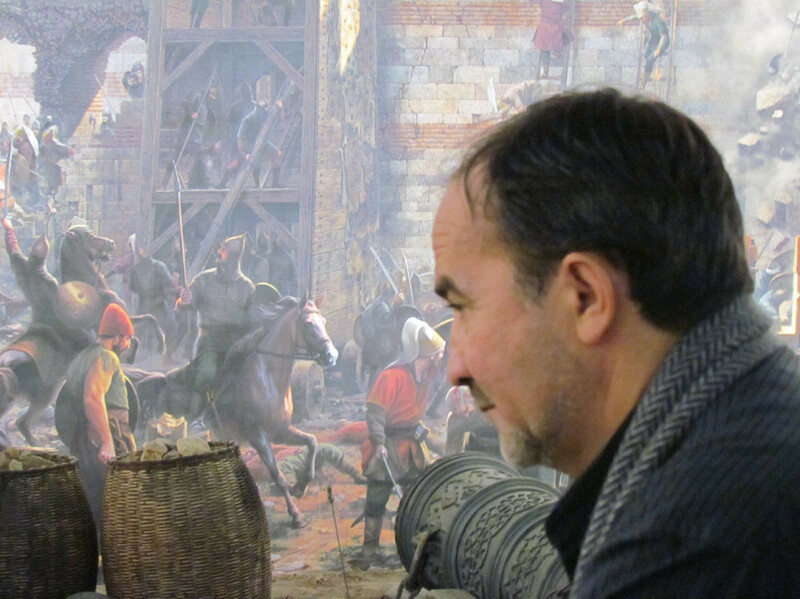 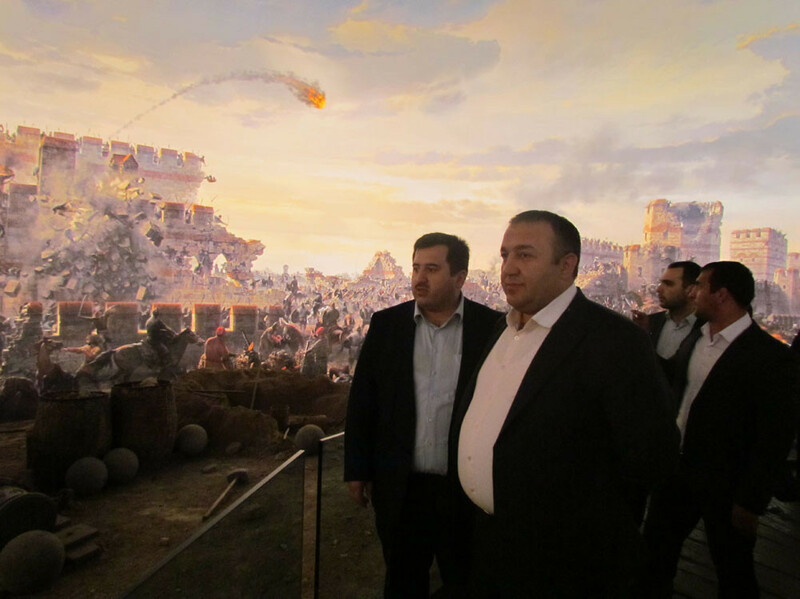 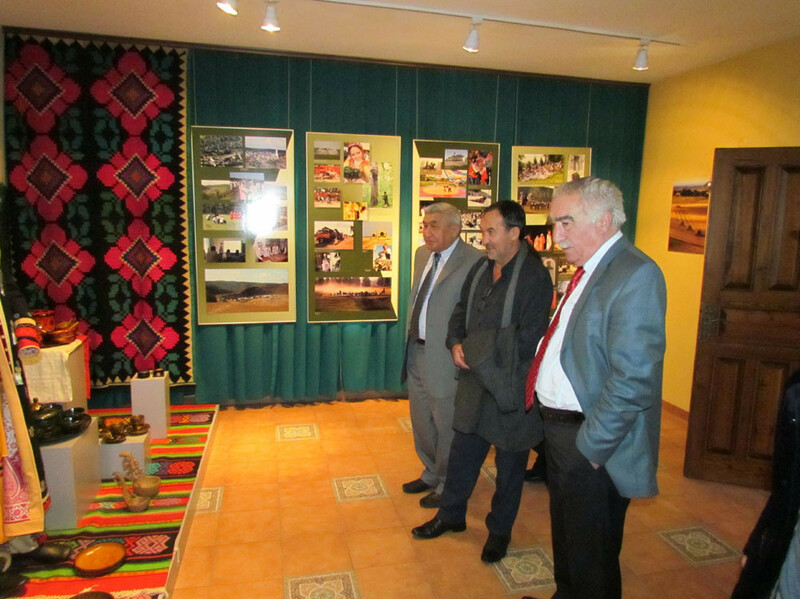 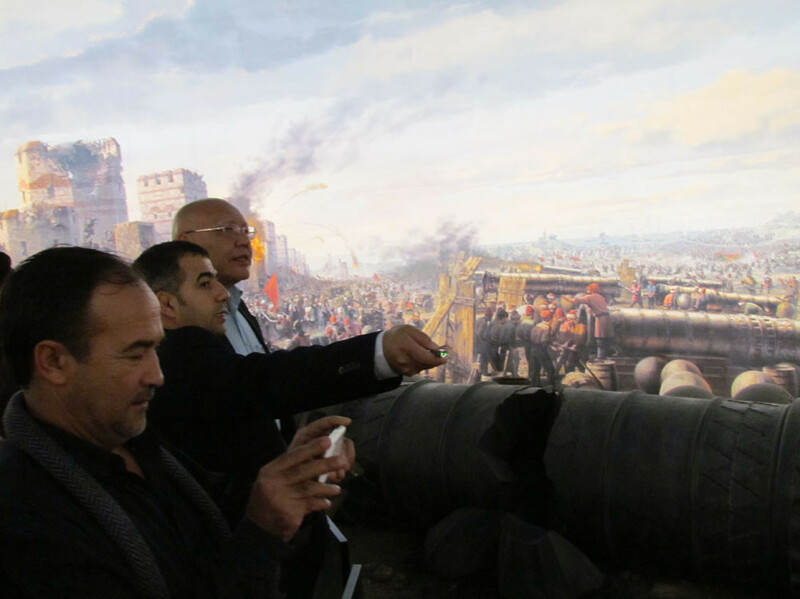 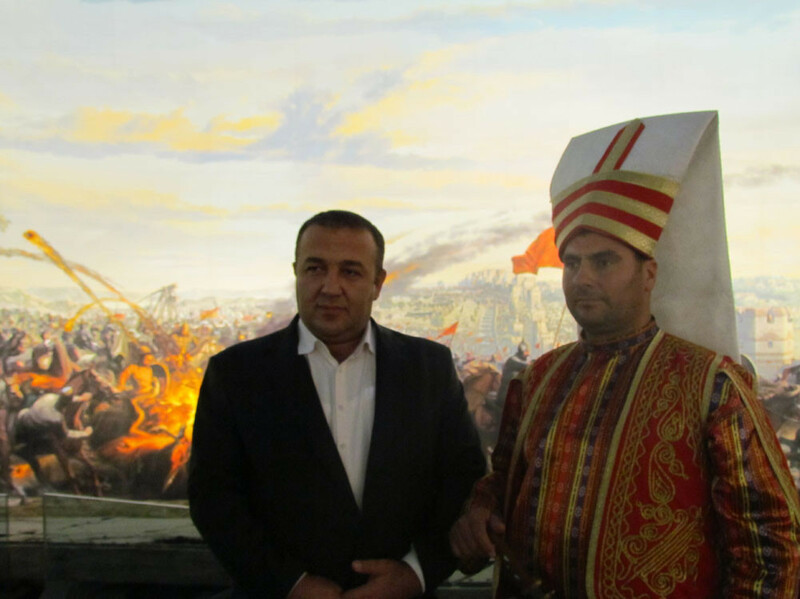 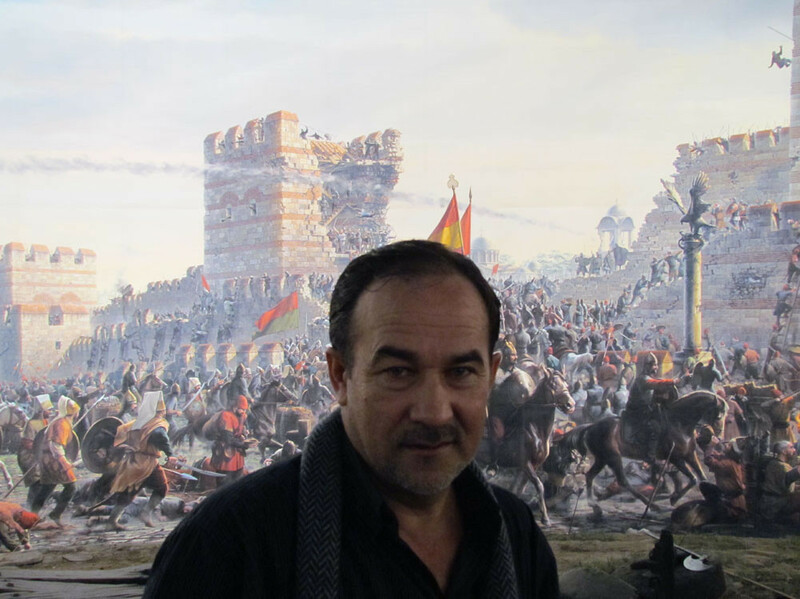 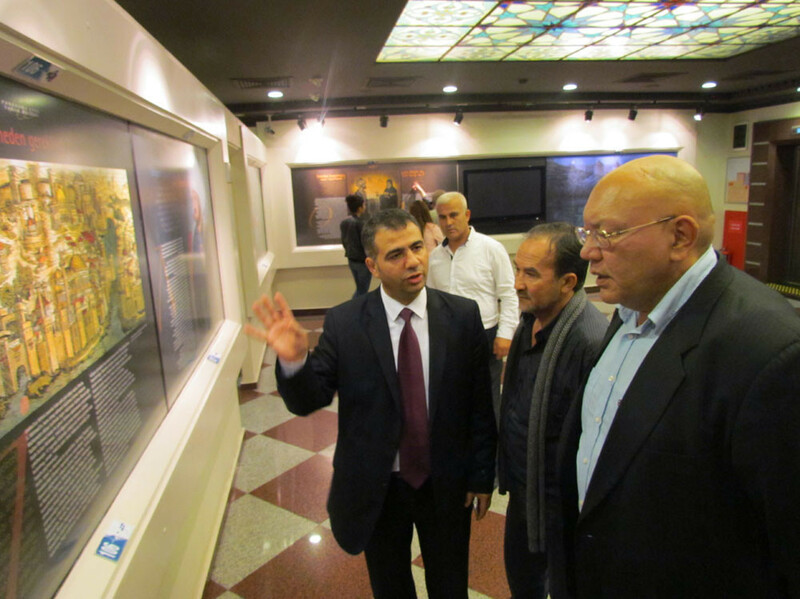 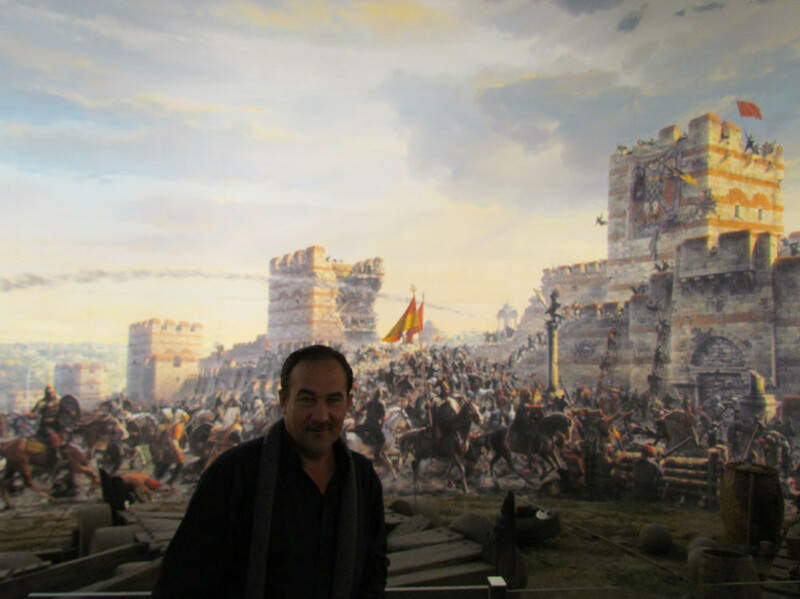 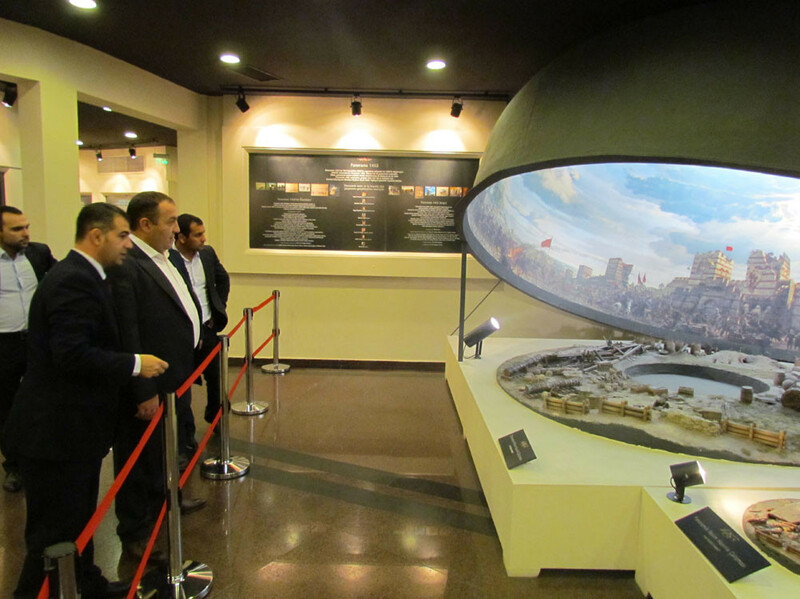 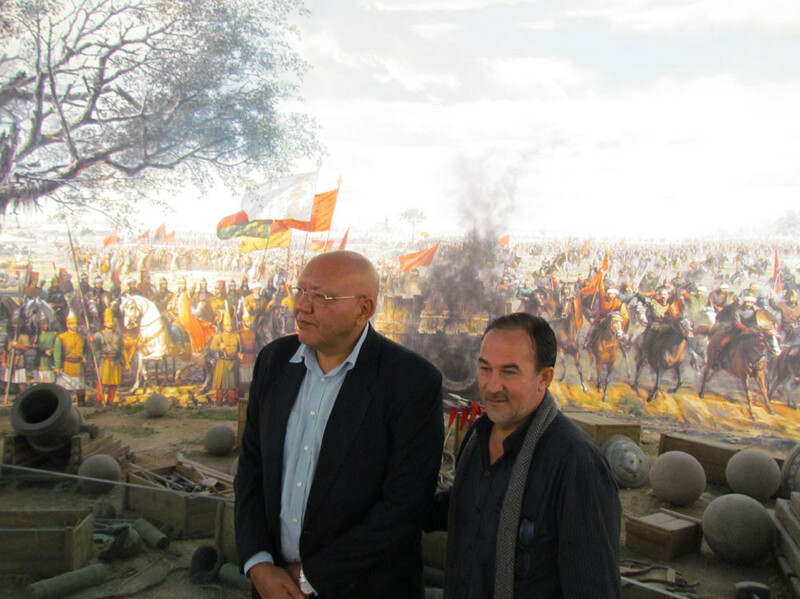 Askar Aytmatov, former minister of foreign affairs of Kyrghzistan Republic, and son of Cengiz Aytmatov, Kirghiz author, visited “Panorama 1453 Museum of History” after his visit to the Cultural Homes. 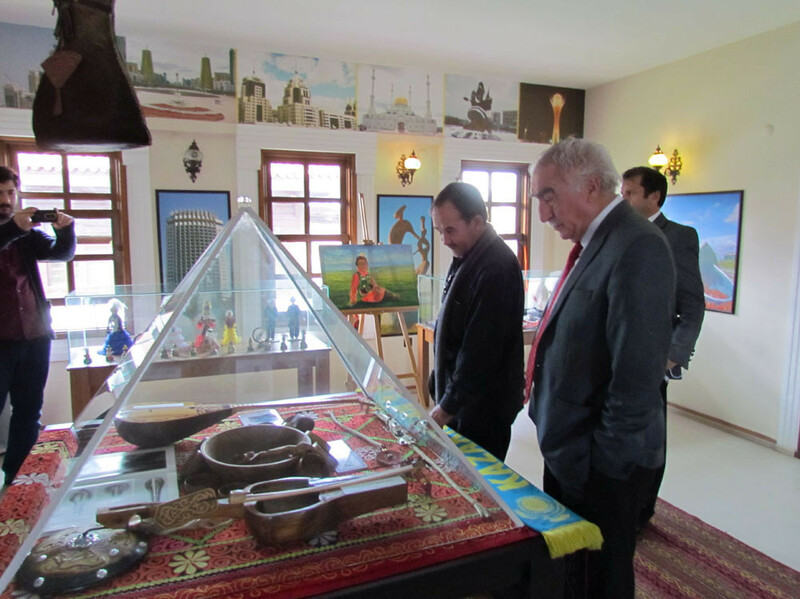 He expressed his admiration for the museum. 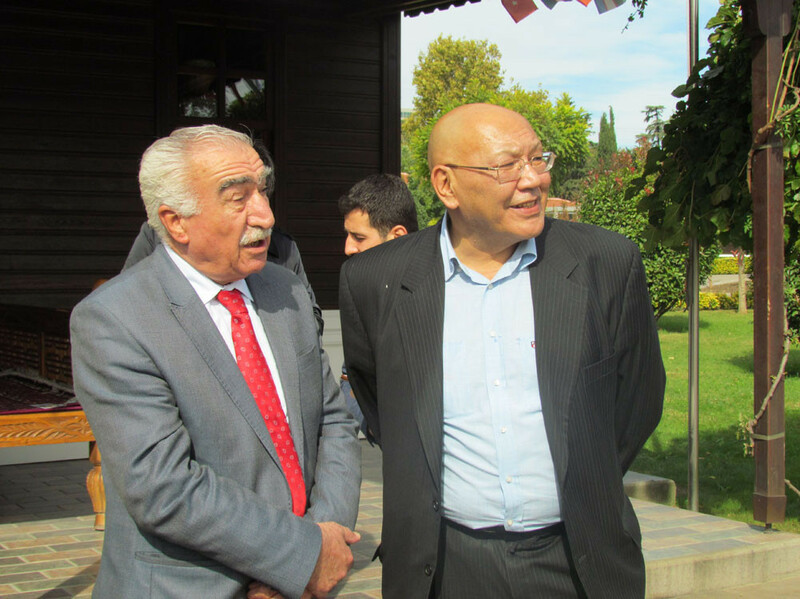 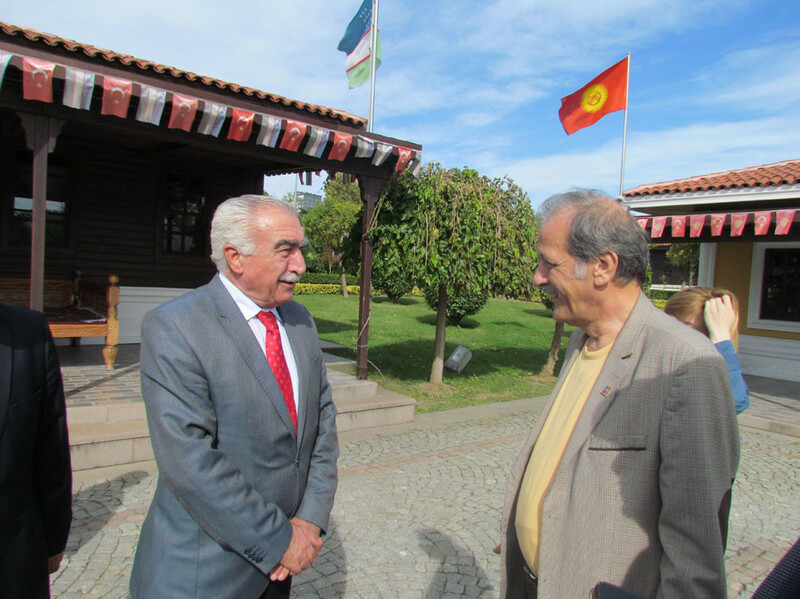 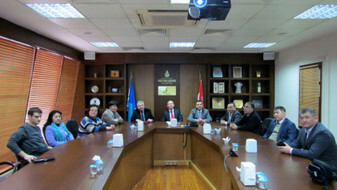 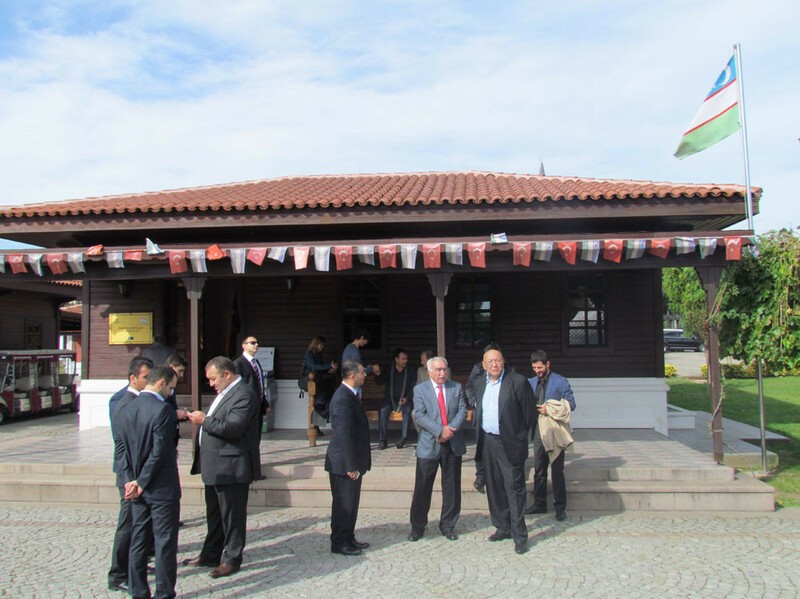 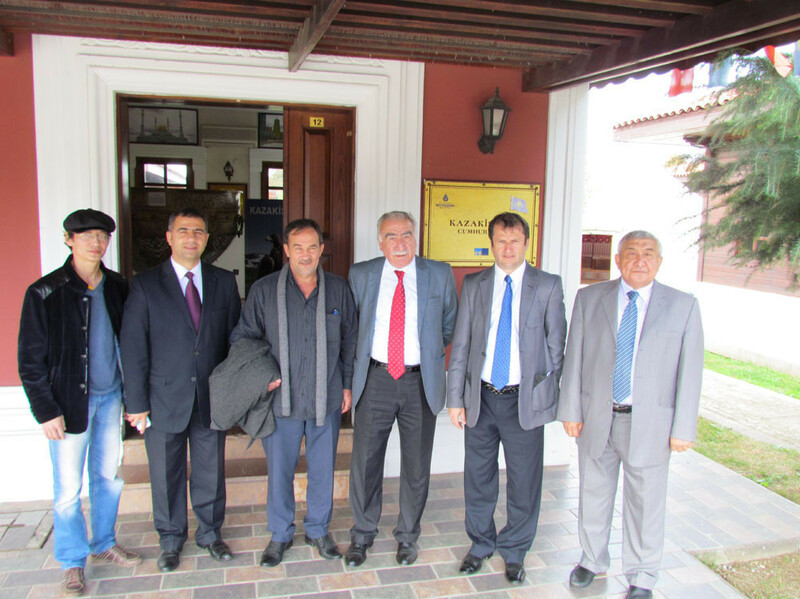 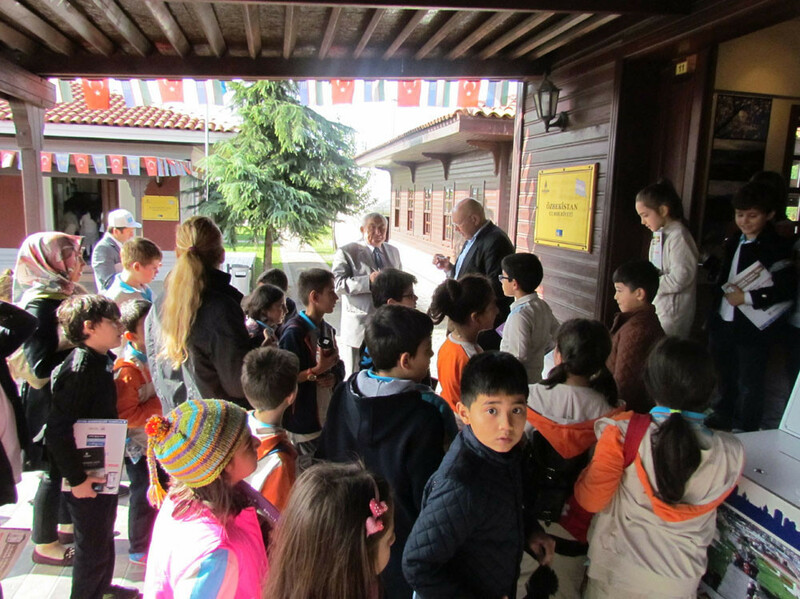 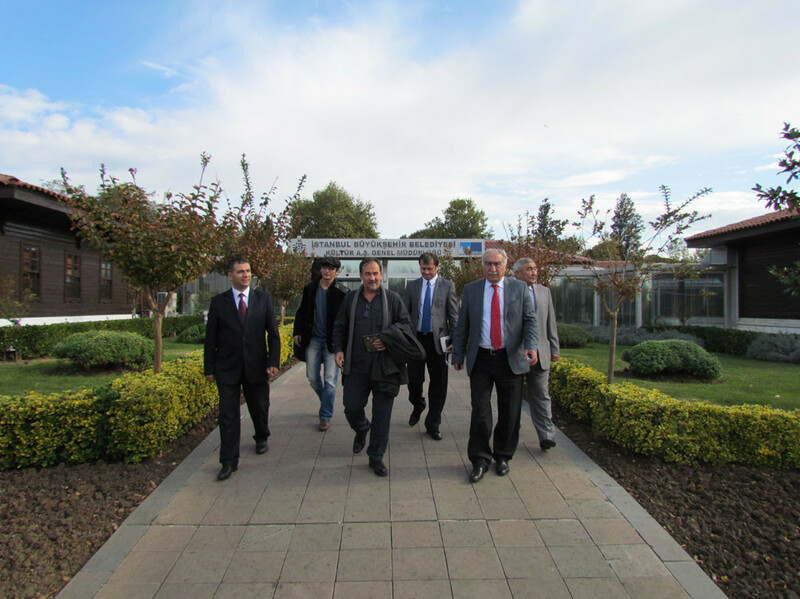 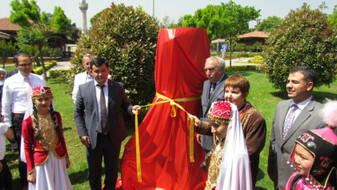 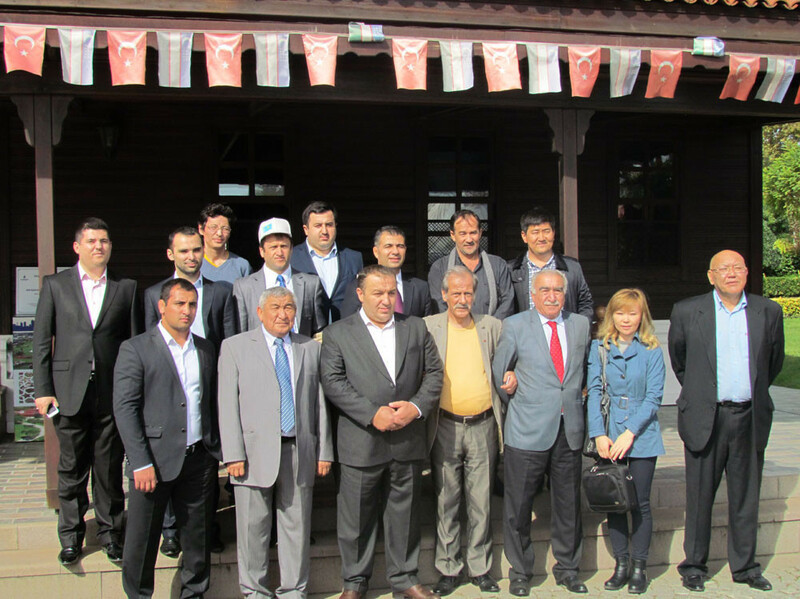 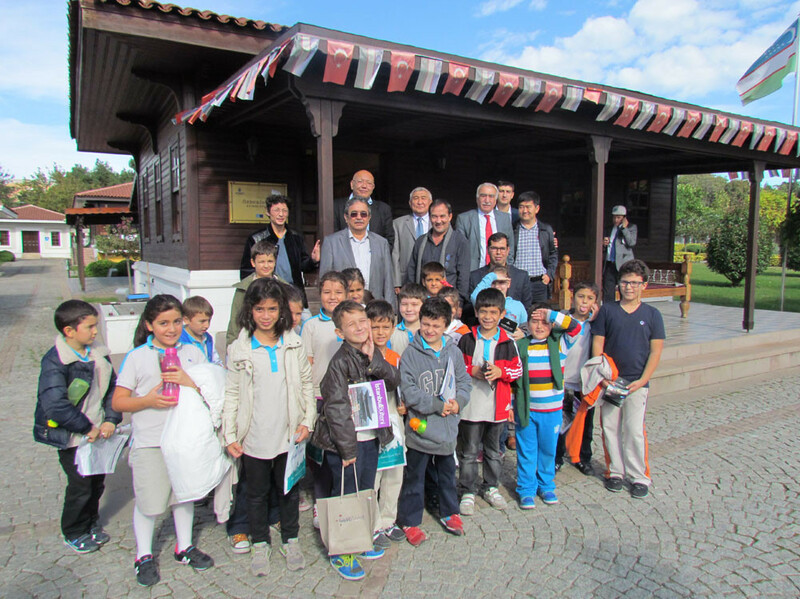 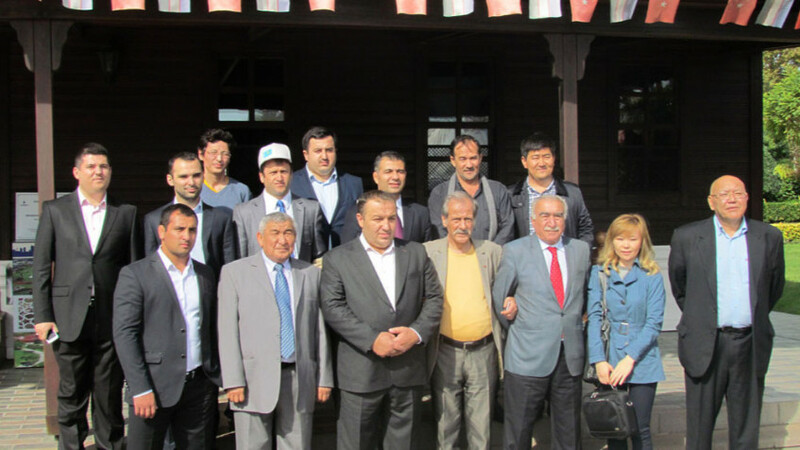 As well as Askar Aytmatov and Arslanbek Sultanbekov, Oral Büyüksarı the President of the Federation of Ertuğrul Gazi Yörük Turks (Turkish Nomads), Zafer Selvi Topkapı the Deputy President of the Foundation of the Kazak Turks, were the guests of Mr. Nevzat Kütük, the Director General of Culture Co. in the Turkish World Cultural Site.